G.H. 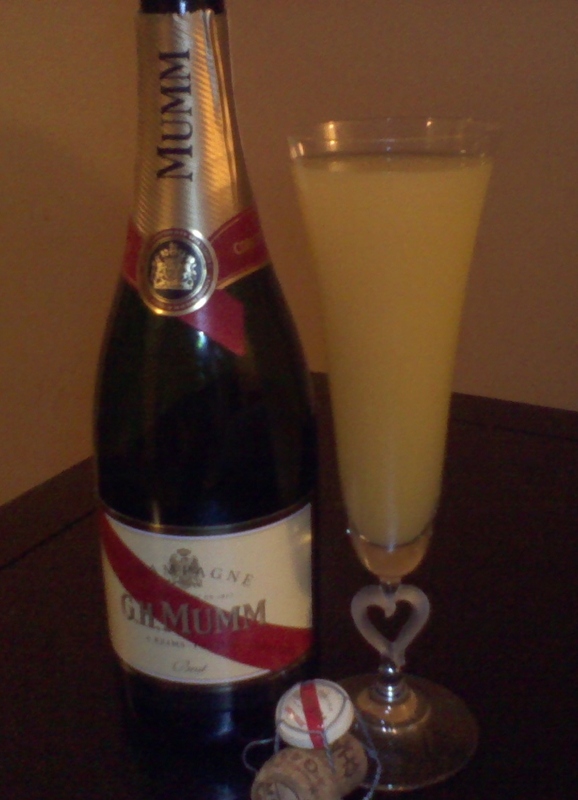 Mumm Brut with hints of Lime, Pear and Mint. A French Chamagne that’s light in color and very sparkly. Great with orange juice for a mimsoa. Enjoy with light fruits and cheeses. I give this a 7 out of 10. Previous Post Breakfast for Dinner!!! Next Post Steak is whats for dinner! !